I had so much news from my recent cross country trip I had to split it into two pieces. This will cover my various trips around Chicago as well the the Capitol Limited route from there to Washington. Again the new photos are not yet processed so I will throw in some classic photos of what the signaling used to look like. The first piece of news is probably the most important. 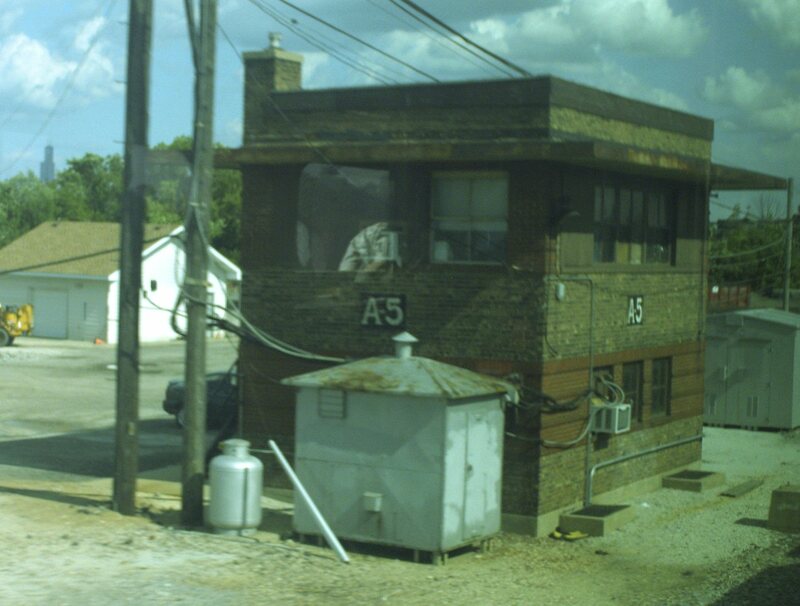 METRA appears to be in the process of re-signaling Pacific Junction aka TOWER A-5 on its Milwaukee District. Part of the interlocking on the North Line comprising the northern legs of the wye and both main track to a point in front of the tower have already been re-signaled and there is a brand new Darth gantry sitting in front of the tower itself. 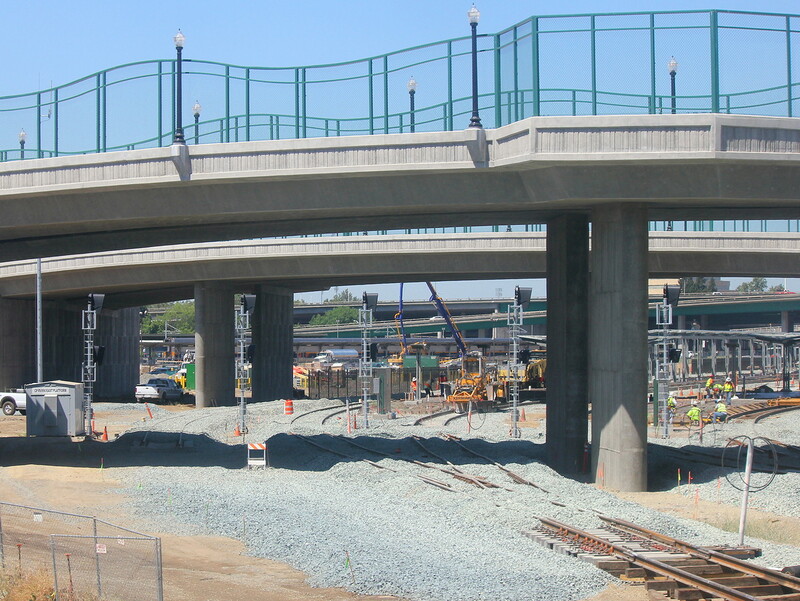 The west end of the interlocking appears to be next up. I am not sure if the tower is going to be closed seeing as how the all-relay plant could have already been placed under remote control, but I wouldn't be surprise. 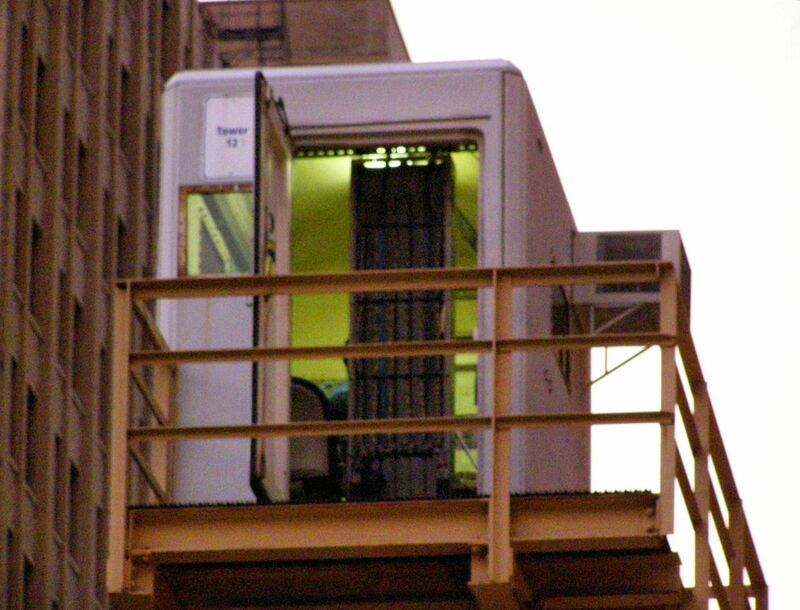 The second piece of Chicago news is that I was able to confirm that the two crossover interlockings on the Chicago Blue Line Subway (Jackson St) have in fact been converted from pneumatic A-10's to electric M-3 point machines. For a bit of good news every time you see a small shelter or relay hut with windows on the CTA it does house a local control panel which might let them count as interlocking towers if they are used on a regular basis. On the Chicago Line both CP-ENGLEWOOD and CP-513 have finally been re-signaled and had the position lights removed. CP-ENGLEWOOD also had its westbound Darth Vaders removed and replaced with ones that can display Medium Approach Medium. 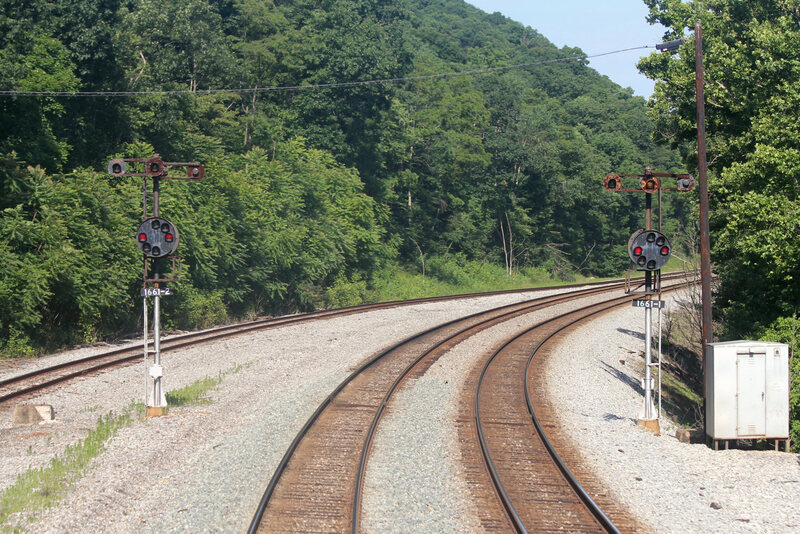 I believe that CP-513 may have had the replacement signals up since 2011. 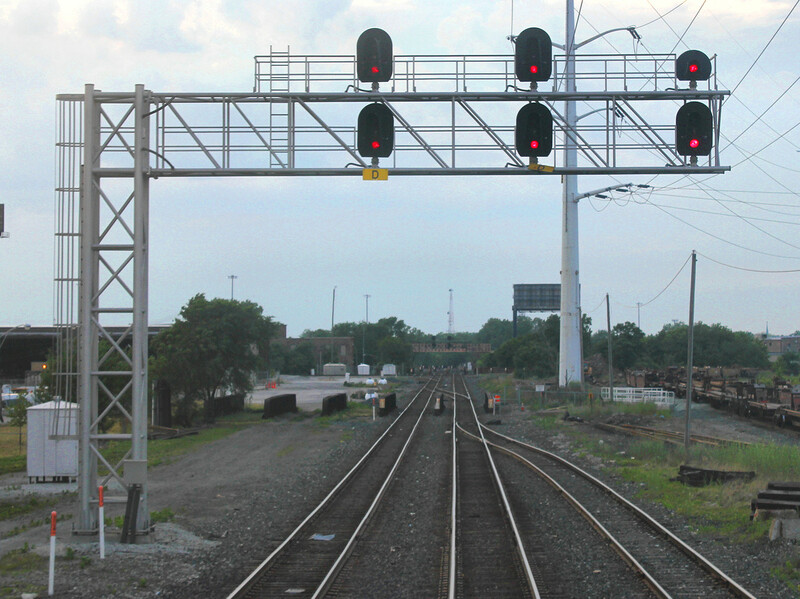 No news on the re-signaling efforts around Toledo, but all the former P&LE signals between BRADDOCK and SINNS have also been replaced. On the former B&O Keystone Sub the section of Rule D-251 operation between GREEN JCT and DRAKETOWN has been upgraded to 261 operation. The existing masts had reverse direction Vader heads added and additional solar panels were then installed. 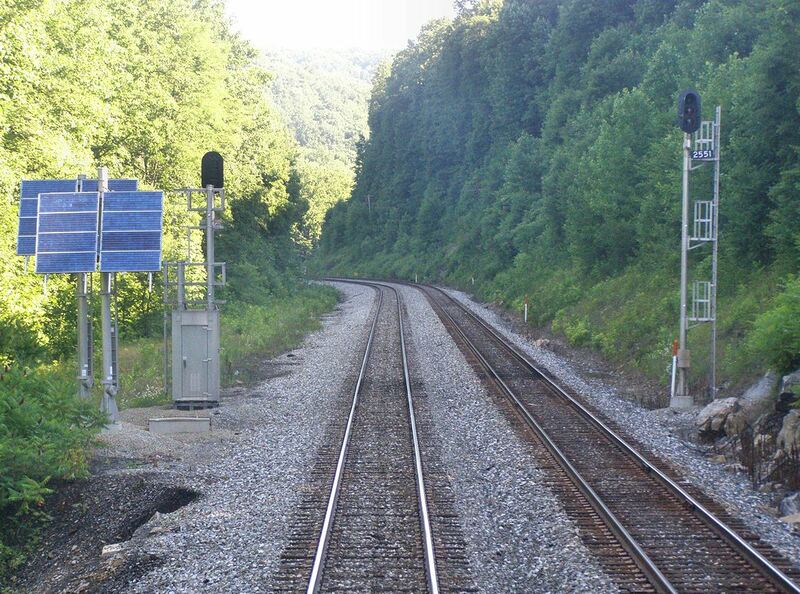 Also the last CPL signals on the sub located east of Greene Jct at CASPARIS and BLUE STONE were removed and replaced with a new CASPARIS interlocking on #2 track. One interesting development was that the non-interlocked crossover at HK TOWER was turned into a control point without power operated switches. So I guess CSX can save money when it needs to. 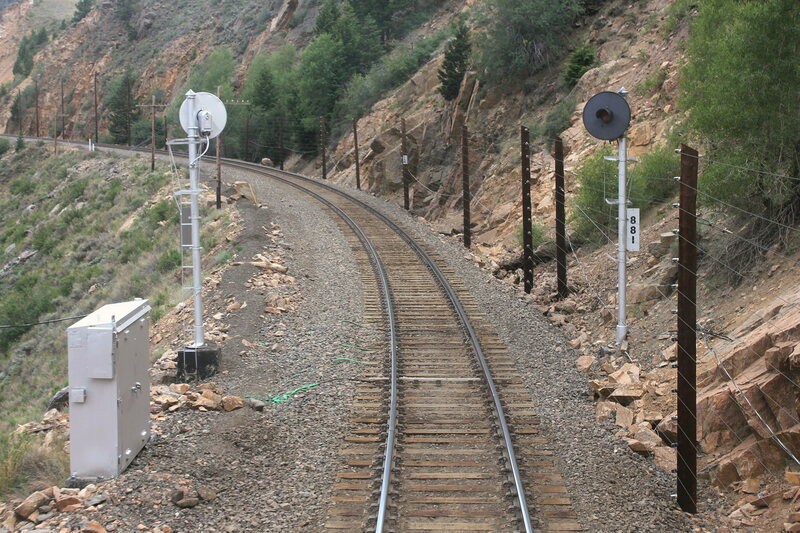 The automatics on the eastern slope between Sand Patch and Hyndman have been resignaled with some re-locations like those at FO Tower (which kept its hand crossover BTW). 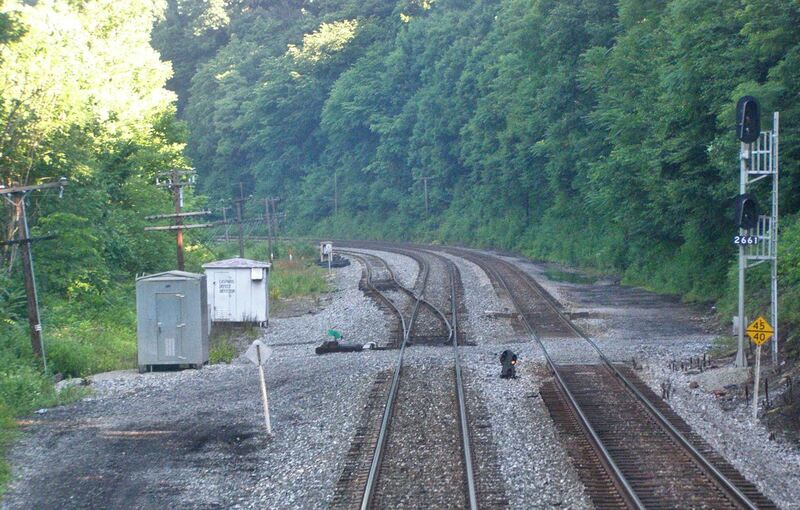 Of course the real tragedy is that CSX has finally turned its attention to the last section of CPL signaling on the Cumberland Sub between PATERSON CREEK and GREENS SPRING. 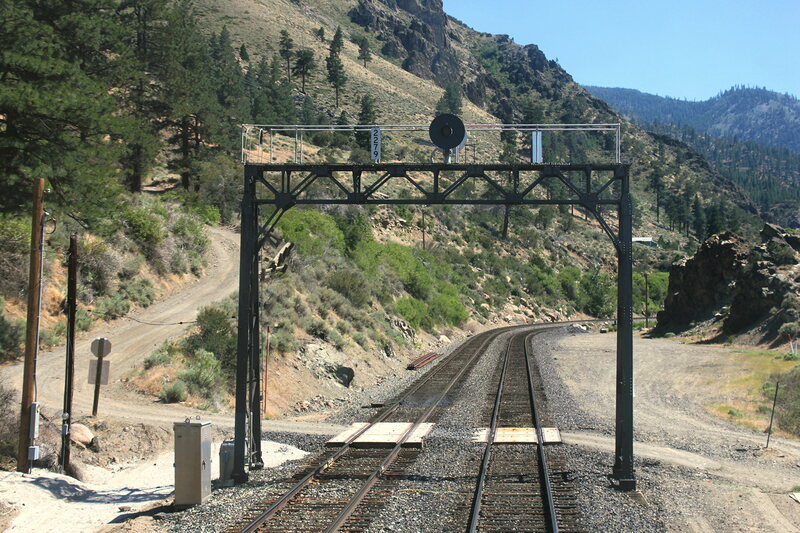 This includes the modern style 3-track CPL signal bridge at Dans Run. Paterson Creek is also getting some new new signaling that seems intent on eliminating the Medium Approach Medium indication for some reason. 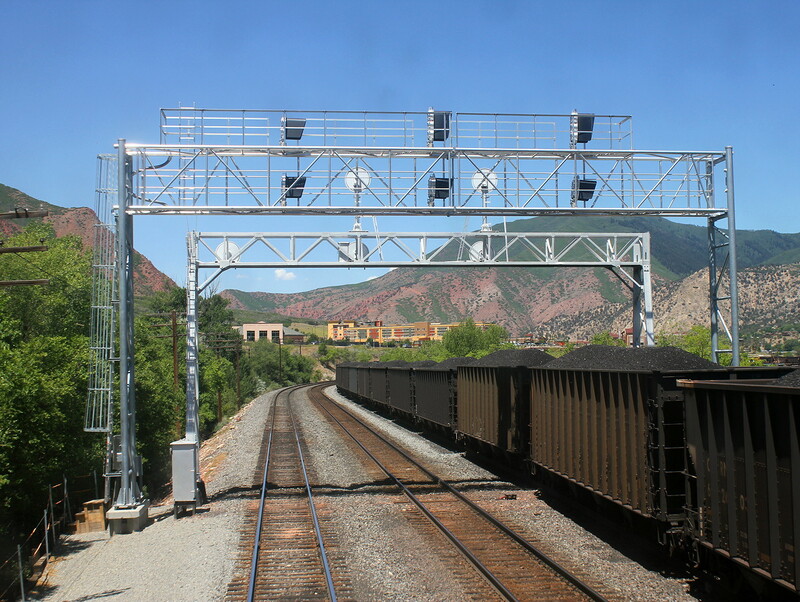 The re-signaling effort will also eliminate one of the 3 blocks in service between GREENS SPRING and PATERSON CREEK and replace it with a single gantry between Dans Run and Kerns Curve. Everything else on the B&O Main has already been re-signaled so there is nothing new to report between there and Washington, but if you are interested here is an up to date video of the entire Magnolia Cutoff which is currently celebrating its 100th Aniversary. Two weeks ago I took Amtrak's California Zephyr from San Francisco to Chicago, IL recreating a trip I had taken in 2012. Then as now I spent a lot of time in the rear of the train taking photos of the signaling along the line and while it will be months before I am able to post the 2014 photos I can at least report on what is changing signaling wise using images from the 2012 set. 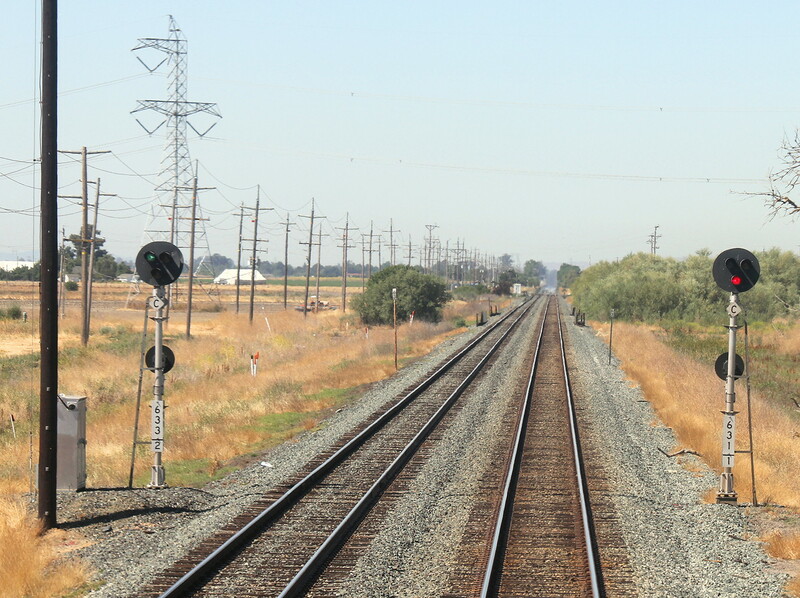 First up is the former Southern Pacific Capitol Corridor between Oakland and Sacramento. This is home to many former S&P target type color light signals and in what counts as good news none were removed since 2012. DAVIS interlocking, which has the relay logic and unit lever emergency control panel inside the former interlocking tower, is still a searchlight and pole line plant with no new signals in evidence. 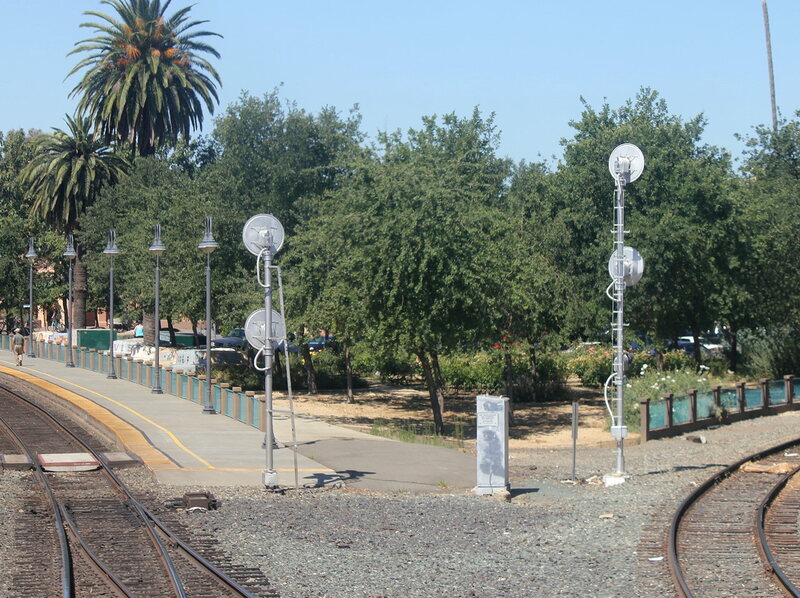 Of course Sacramento lost its searchlights with the station improvement project. Moving on over the Donner Pass UP is in the process of converting the double track ABS segment on the western slope into CTC. 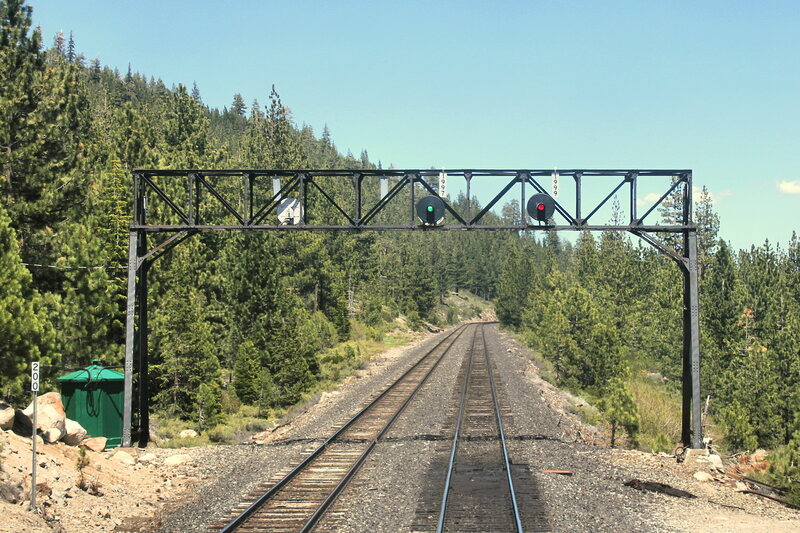 On the pass itself past SWITCH 9 the three searchlight signal bridges at MP 172, 174 and 176 are being replaced by a pair of Darth gantries. 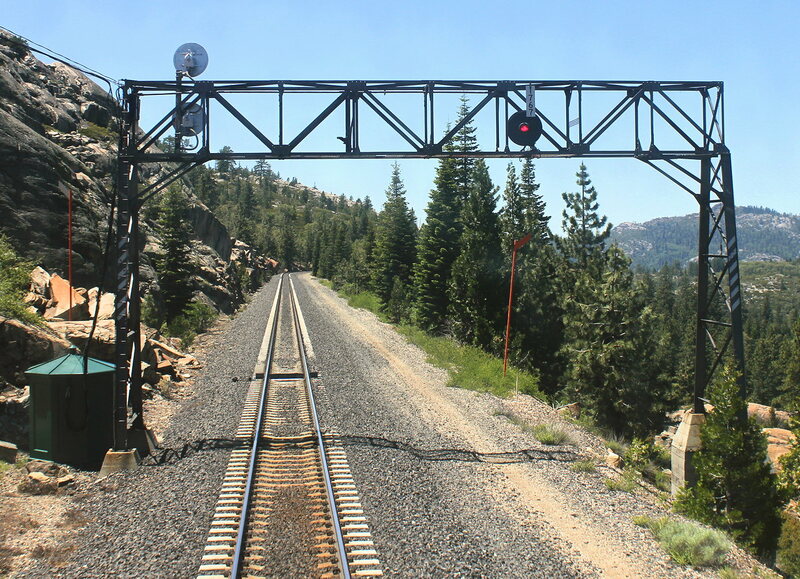 Beyond Truckee all the "reverse" ABS signaling is also being prepared to CTC conversion. Out on the Reno sub the entire western half that is still searchlit and pole lines is currently undergoing replacement. This includes recently resignaled interlockings with new searchlights. New signals to be replaced. 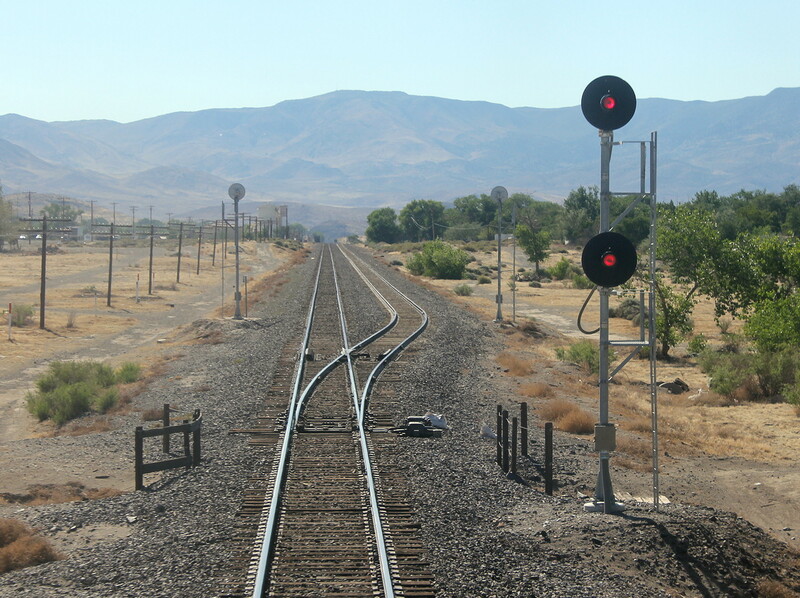 The western section with SP signals is completely untouched, but the area around Winnemucca had also lost its searchlights and new signals were going in at WESO and presumably the DT ABS Elko sub as well. 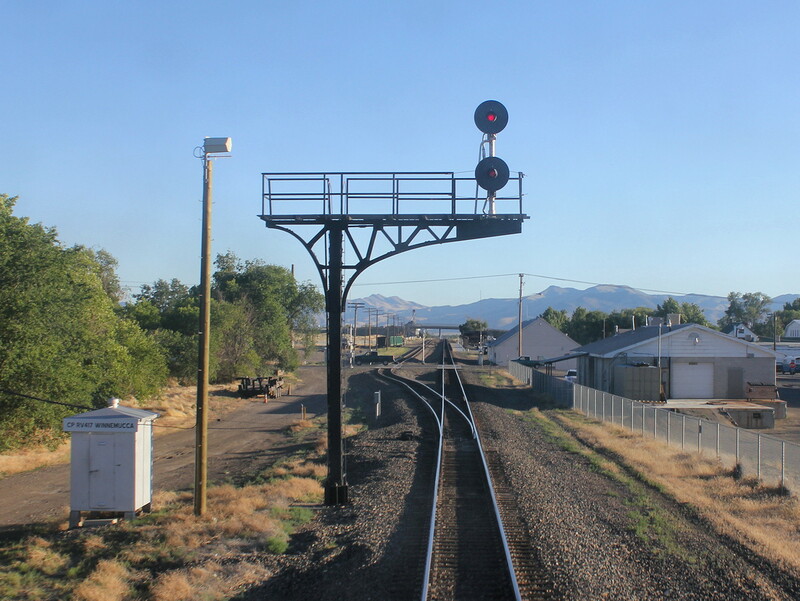 Kinda good news in Utah where the two track DRG&W main east of Helper has not had the resignaling project begin and the new signals installed between Helper and Grand Junction have only been cut in on the far western end. Two years and still not in service. The searchlights in the Grand Junction terminal have also been replaced including the repeaters on the passenger siding. Now Amtrak trains can be delayed in block. 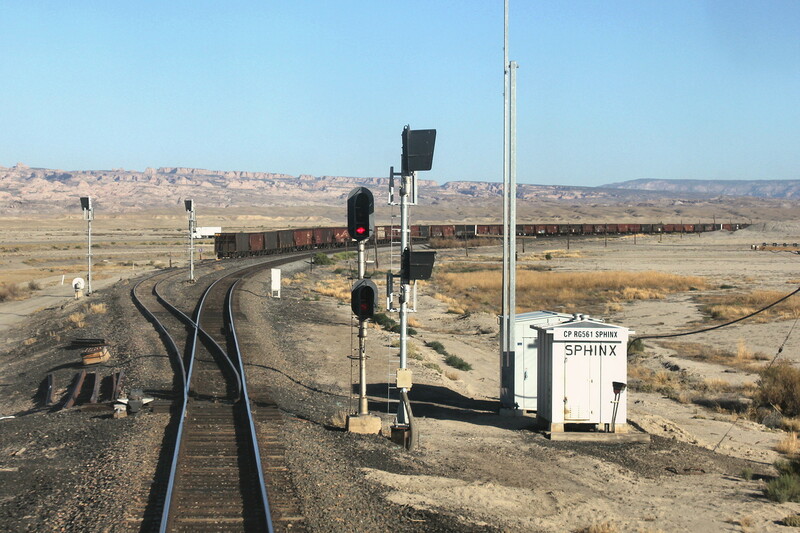 The DRG&W signals between Grand Junction and Glennwood have also been replaced. 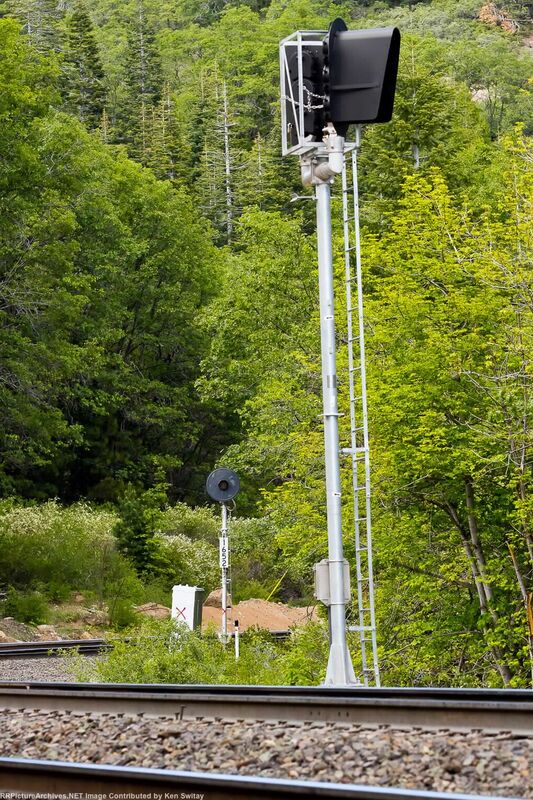 On the Moffat Tunnel sub many of the signals have already been replaced, but a clump of surviving searchlights hang on in the Byers Canyon and Granby area. Well I am back from my 4th annual Amtrak Cross Country trip and while I was planning on a trip report to detail all the great signaling that is being destroyed across this great country I will instead save that for next week to clear the decks of some news items that had been building up. I am going to start off with two more NS examples of wasteful re-signaling practices. Generally when a structure is made out of modern corrosion free materials you don't need to ever replace them, but of course why pay less. Of course NS also seems to have a fetish for cantilevers so all bridges must go!! The galling part is that these signals were supposed to be safe, having been installed just recently enough to last into the 2030's or 2040's. Not sure what the plan is for the Birmingham re-signaling project, but this 3x3 headed beast might just be worth saving. Not sure how I missed this, but it looks like the heart of the N&W has been relieved of its N&W CPLs, including a brand new signal bridge installed right at the railfan overpass. What a shame. 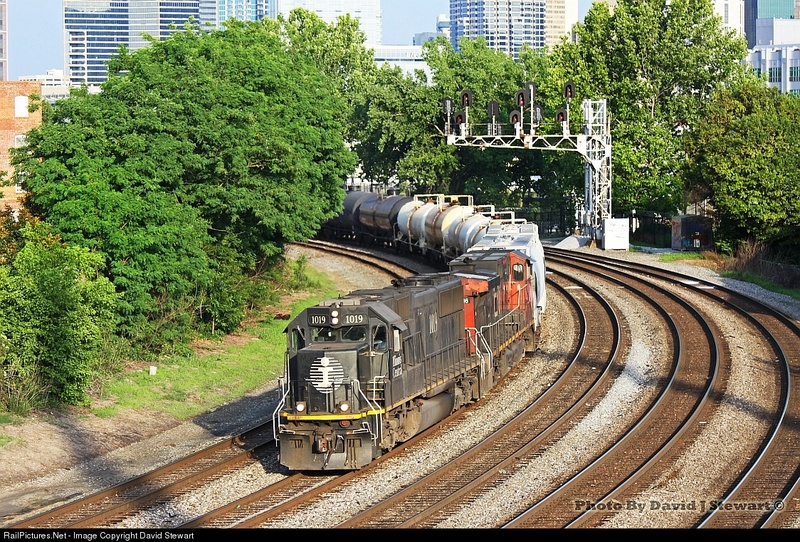 NS will repaint 20 locomotives, but not keep one interlocking at the spiritual heart of its system position lit. To think just a few years ago this interlocking featured pneumatic point machines too. 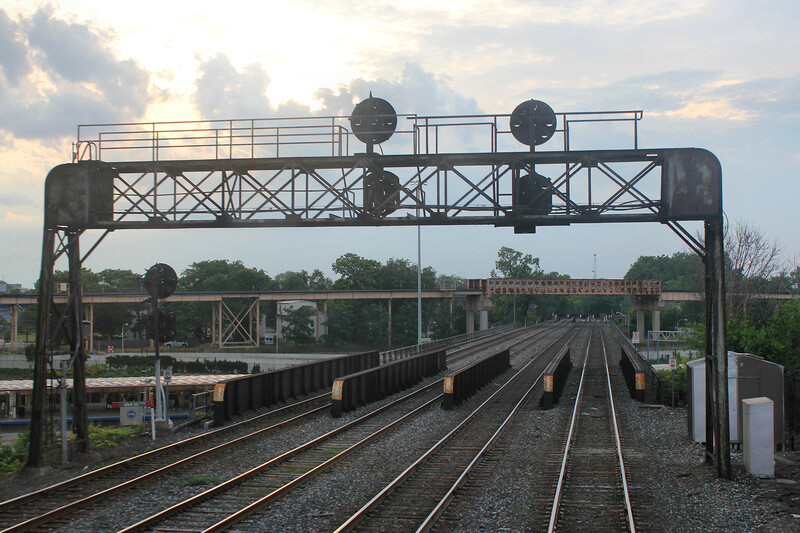 Here we see a piece of good news, a 3-track Southern Cantilever re-done with modern NS Darth Vader heads, Indian gifted as a new cantilever tower is in place to re-re-signal this piece of history. How many times does someone do something right just to come back and do it over just wrong. Give me a break. As I reported earlier JD tower in interlocking in Hyattsville, MD is being re-signaled. 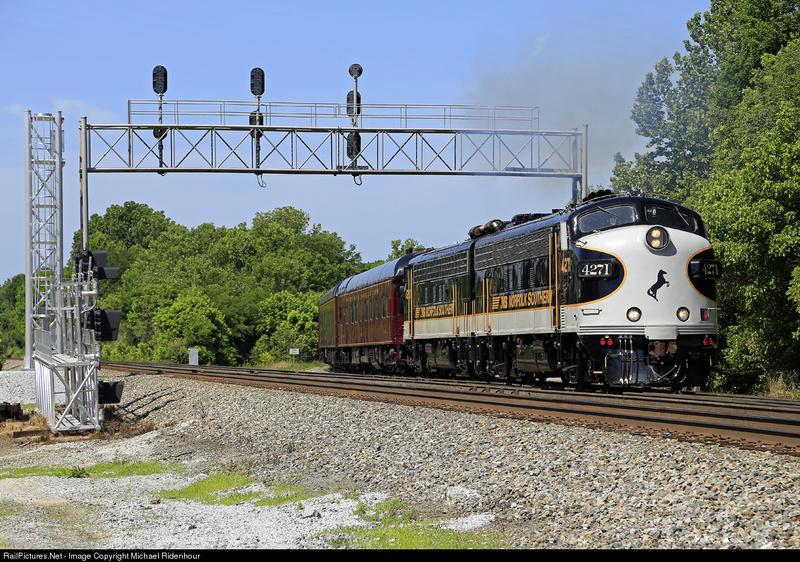 These CPLs date from 1992 and again, should have lasted until 2032 or longer, but again CSX things signals with higher levels of visibility and less use of extraneous red is a bad thing. CSX is of course also ripping out SCL searchlights in the Carolinas. 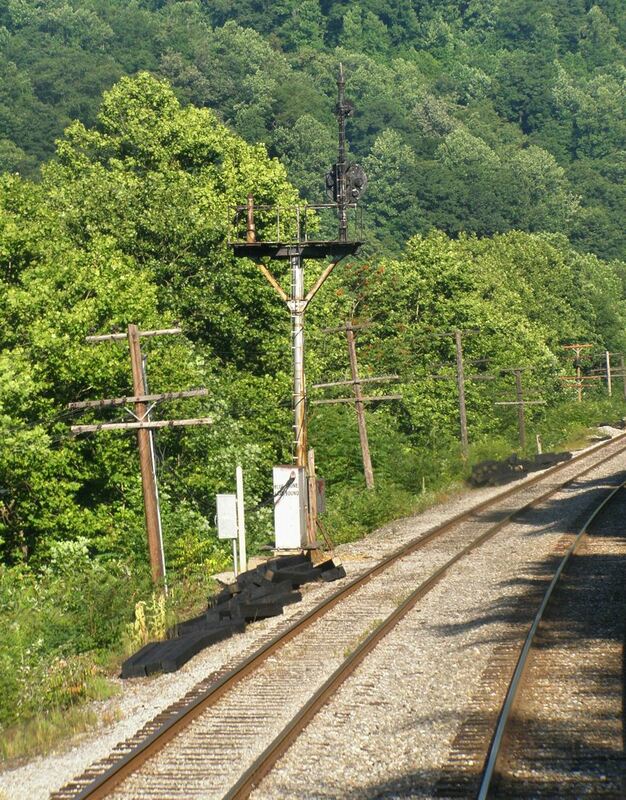 CN is now removing searchlights on its former Grand Trunk route such as the famous crossing in Wellsboro. To think that the Canadian roads were one of the last big searchlight holdouts. If you are in a position to ride the Coast Starlight do it quick because that whole route is also losing its classic searchlights. The more we seek to use "high tech" signaling methods like coded track circuits or communications based train control, the more we run the risk of creating fragile systems that can't handle failures well. When a signaling system is not resilient it means that service must be canceled and substituted with buses, if at all. This is commonplace in certain parts of Europe like the UK where overly restrictive rules require tokens and pilotmen to work against the flow of traffic or where signaling rules have been suspended. The Port Authority Transit Corporation or PATCO operating across the Delaware River from Philadelphia was one the world's most advanced transit system in 1968 pioneering such innovations as one person operation, automated fare control and collection, automatic train operation and, of course, automatic cab signaling without fixed waysides (except at interlockings). 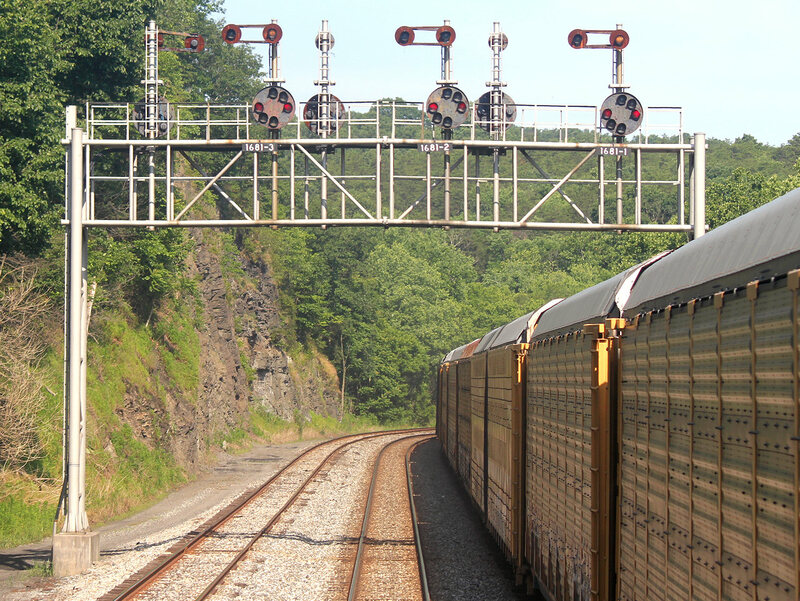 While based on the proven pulse code cab signaling system adopted by the Pennsylvania Railroad, cab signals can fail from time to time and this requires some sort of contingency operation. 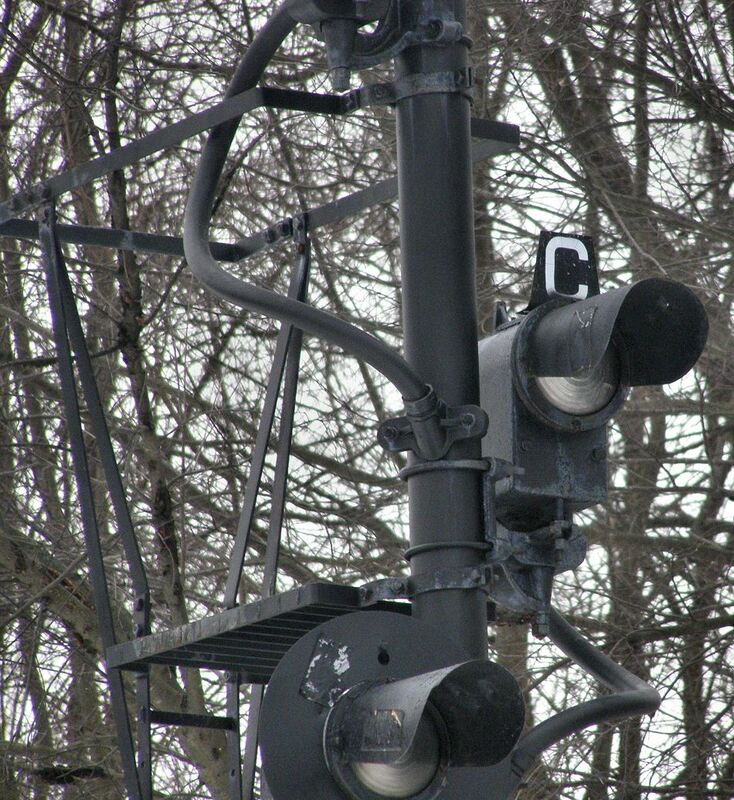 On sections of the PRR that attempted the same type of operation they employed the now well known 'C' lamp (C for Clear to Next Interlocking), which could be displayed by the dispatcher in case of a failure of the carborne equipment. 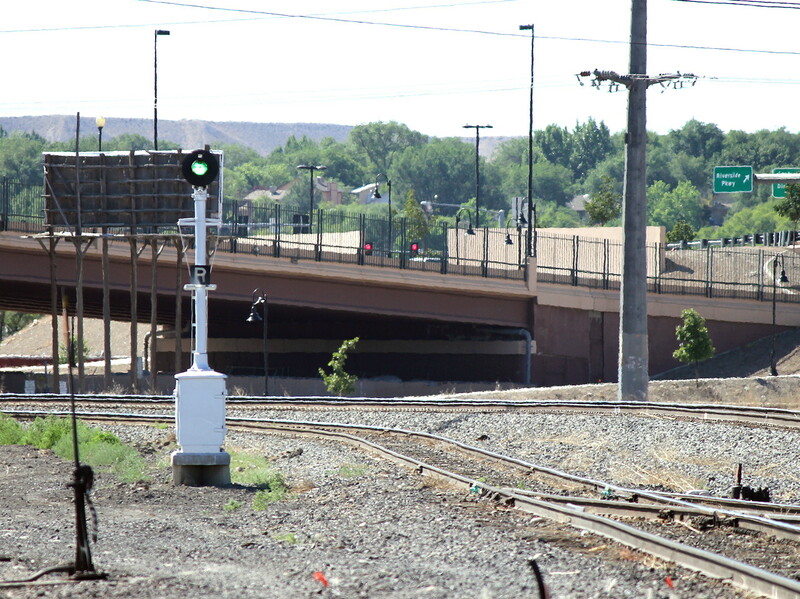 However there are limitations to the 'C' lamp as in it won't display if there is a track occupancy light in the line segment so without that trains typically need some sort of track warrant plus another dispatcher interaction to get permission past the stop signal. So anyway I have always admired PATCO for being one of the most flexible and resilient rail transportation systems around. Once when a train was stuck on the river crossing they used one from the opposite headway to head out and rescue it. Once when there was a switch problem my train load of people literally swapped places with another train across the platform and then continued on towards our destination with cab signals and automatic train control cut out. PATCO once didn't raise fares for 15 years, got 35 years out of its first set of ties and has 46 years on its original rolling stock. About a month ago on National Train Day PATCO was again hit with a minor operating problem, but in typical PATCO style they soldiered on like it was no big deal. 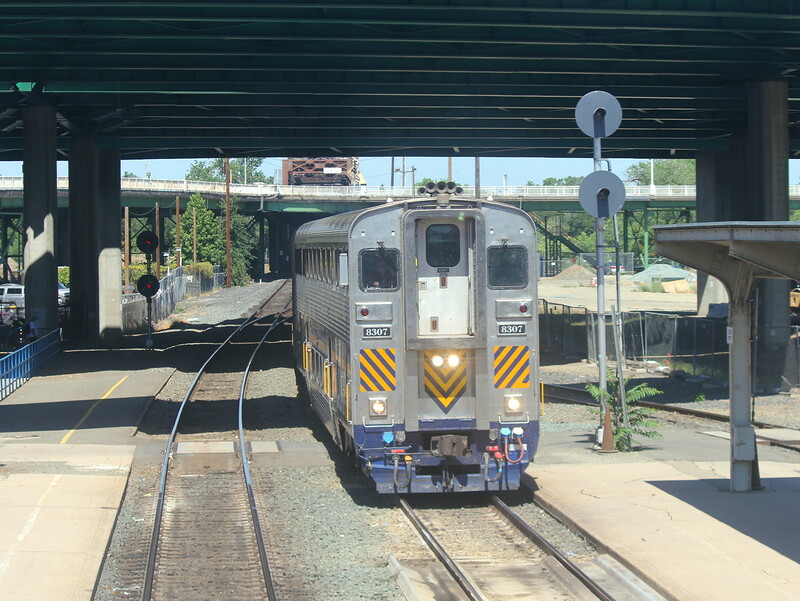 A signaling problem on the Ben Franklin Bridge rendered rendered it impossible for the dispatcher to reverse "traffic" on the bridge so eastbound trains could neither get a signal at the 8th and Market interlocking, but would also be stopped by cab signals the whole way across. 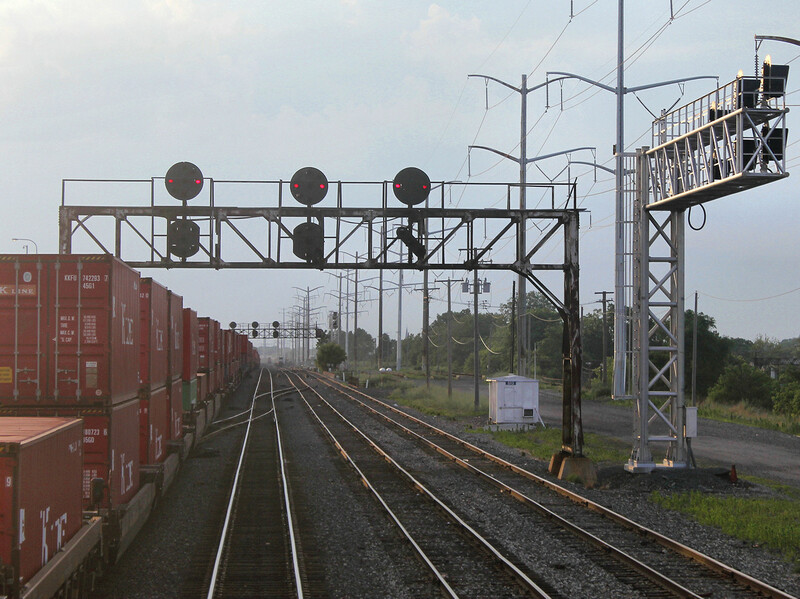 To deal with this problem the dispatcher simply authorized the operator to cut out all the safety system and operate past a stop signal and then without signal protection across the bridge. Luckily I was filming as the operation transpired. At 00:53 the train gets a diverging proceed signal to cross over at the 12th St interlocking. At 03:40 the train gets stopped by the PTC system to stop the train in the overlap before the stop signal, but a simple verbal instruction from the dispatcher and the operator can cut out the safety system and platform properly. At 05:00 the operator get permission to operate under Home Signal Block rules (aka clear to next interlocking) and past the 8R signal at Stop. After a quick readback we are on our way at 05:40. We then operate at normal speed until 10:20 where normal operation resumed. In this followup video there is a second segment of single tracking for an unrelated issue and at 00:50 we are stopped again by the PTC system, but before we even come to a stop the dispatcher is on the horn authorizing another bypass. With basic procedures the service is not disrupted, costs are saved, passengers are happy and nothing collided, derailed or exploded. This represents the gold standard for flexibility and resiliency in the face of a cab signaling failure.